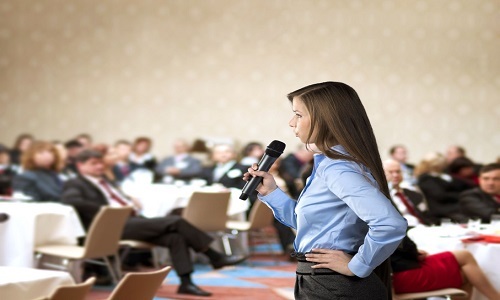 At any corporate event, the speaker’s presentation is often the most anticipated portion. The right speaker can make the event an exceptionally memorable occasion, while the wrong one can leave guests puzzled. Anticipating the tone of your event as well as the needs of your attendees is imperative when choosing the perfect speaker to open or close your conference. With so many choices within the field today, it can be difficult to decide upon the best speaker for your particular event. Would you prefer to stay within your company’s particular field of business? Are you hoping to inspire your group to reach new heights, both personally and professionally? How important is the entertainment factor? To answer those questions, and others, let’s take a look at the current trends in public speaking, some of the most popular topics of discussion, and the ways to decide upon the best speaker for your big event. There are many aspects of life that can be defined by their trends, and the fields of public and inspirational speaking are one of them. Several years ago motivational speaking seemed to be very narrowly defined and somewhat predictable. That is not the case today. Today, speakers come from all walks of life. Some share their inspiring stories of success in overcoming immense obstacles, some engage their audiences with humor and some share experiences both personal and professional that their audience can instantly relate to. Not only are all of these speakers excellent at their craft, the agencies that represent them use skilled techniques to match the right speaker with the right event. This makes it easier than ever to find inspirational keynote speakers. Whether you want to engage your audience on a deeply personal level, or present to them cutting edge business practices, or have them rolling in the aisles with laughter, there is a speaker who will fit the bill. As with any situation, there are topics of discussion that will appeal to a wide audience, and there are topics that are more focused and specific. A speaker who addresses a small group of people with a specific interest focus might not appeal to a large audience with varied backgrounds. You must assess the needs of your audience. The professionals in the field of inspirational speaking may all seek the same end result — inspiration — but each may arrive at that destination in a different way. World travelers with a thirst for adventure, specialists in scientific research, authors and journalists or innovators in business all have a different story, but the message is the same. They all seek to inspire their audience to think differently and feel more motivated to implement change. Speakers with a more specific knowledge set can apply what they know to unrelated fields and varied groups. Experts with in-depth knowledge of current events in China and the Middle East are eager to share what they know with interested audiences. Former members of the military have a great deal of wisdom to present to groups of people seeking to learn more about leadership and strength. Persons who have served on the boards of some of the world’s leading energy companies can address audiences with a particular focus in that field. The possibilities are endless. For some events the speaker can serve to lighten the mood and provide some much-needed entertainment or comic relief at the end of a day. While these speakers might not offer a deep or powerful message, there are times when a person who is perfectly skilled in the art of laughter is an important addition to a corporate event. If your audience or group faces a particularly challenging or busy agenda during a conference or event, this might be the time to consider an entertainer as your keynote speaker. Actors and authors who offer public speaking services can be wonderful in this role, but there are many keynote and inspirational speakers who can deliver a great speech that happens to be heavily laced with humor. As you move forward in your quest to find the perfect inspirational speaker for your event, keep some of these ideas in mind. Consider your audience, identify a topic or topics and gauge the level of entertainment that you feel is appropriate for your event. Once these things are accomplished, the success of your conference is practically guaranteed. Chloe Williams is a business student with an interest in public speaking.